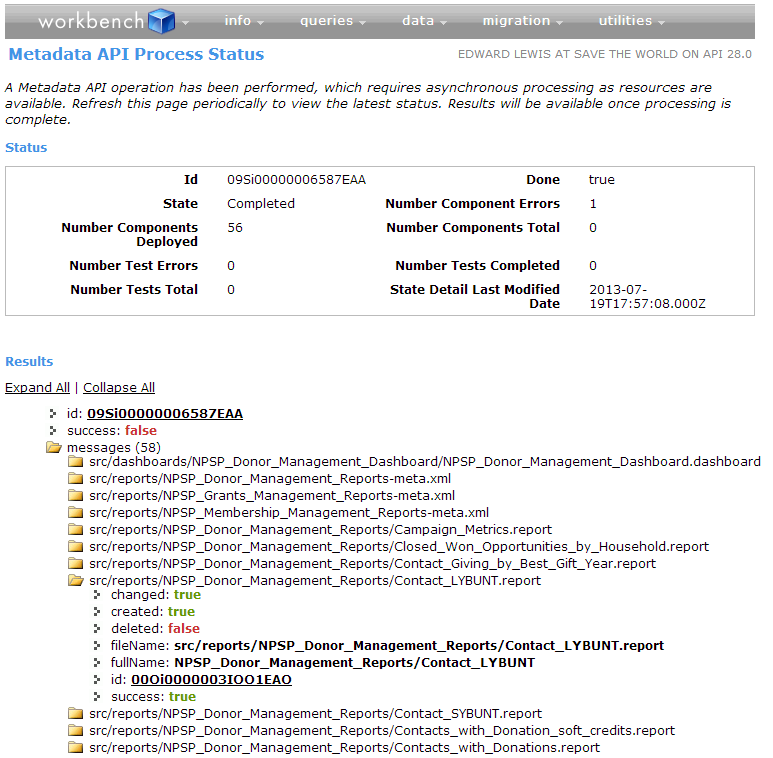 Once those are in place, you’ll need to download the zip file containing the report and dashboard metadata. You can use this link, just save the zip file to your desktop or other easily accessible location. Now comes the “hard” part. 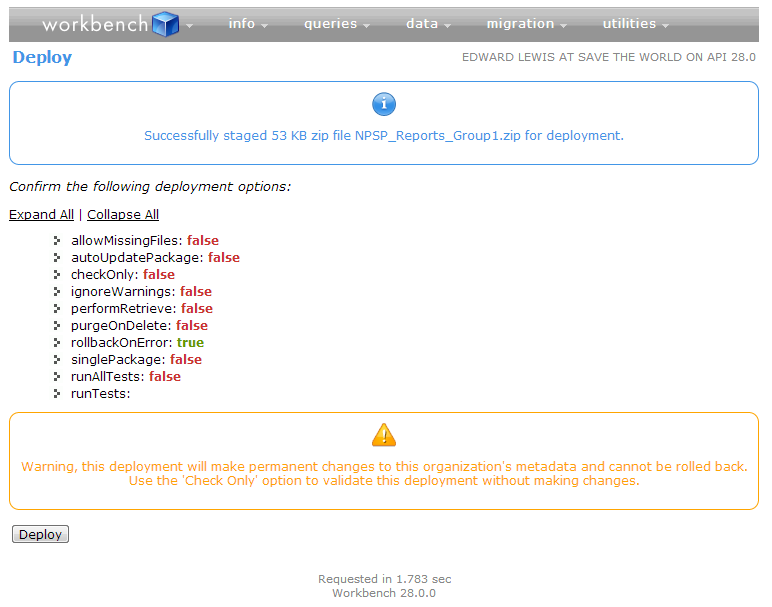 Head over to https://workbench.developerforce.com Agree to the terms of service, and click on ‘Login with Salesforce’. Read the terms of service from beginning to end. Shake your head in amazement at the legalese, check the box, and login. You’ll be asked to either provide your Salesforce credentials if you’re not already logged into your org, or to authorize the workbench to access your org. Either login, or click ‘Allow’. On the next screen, select ‘Deploy’ from the ‘Jump to’ menu, and click ‘Select’. Clearly designed by a techie. Now, check the box for ‘Rollback on Error’ and using the ‘Choose…’ button, select the zip file we downloaded earlier from your desktop (or wherever you stored it). Click ‘Next’. This is a pithy and irreverent caption comment. 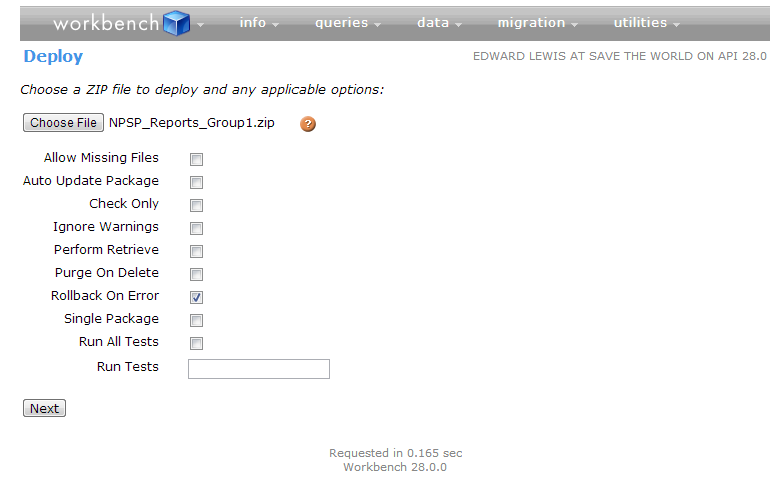 Confirm you deployment settings, and go ahead and click deploy. The deploy can take some time, practice patience here. When complete, you’ll get a list of the result and can drill down to each report/dashboard/folder to see how that particular object deployed. In the example below, we can see one failure and 56 successes, drilling down into the Contact LYBUNT report, we see it deployed successfully. 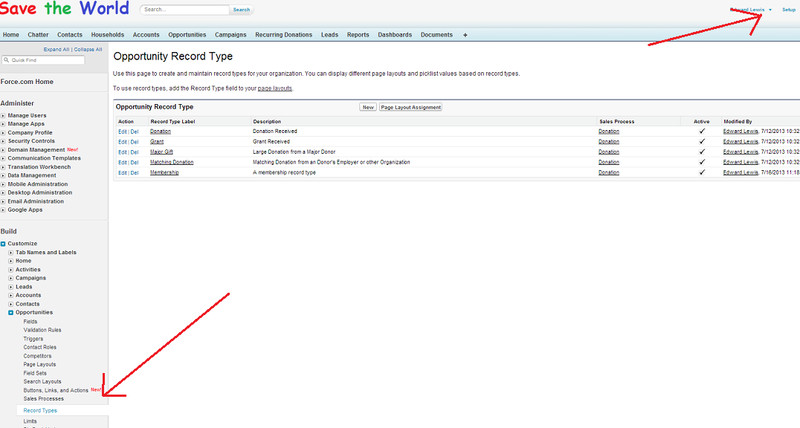 Finally, swing back into your org, click on any of the six new reports and dashboard folders, and admire the fruits of your, Tim, Albert, Marc, Ehren and Gorav’s labor!